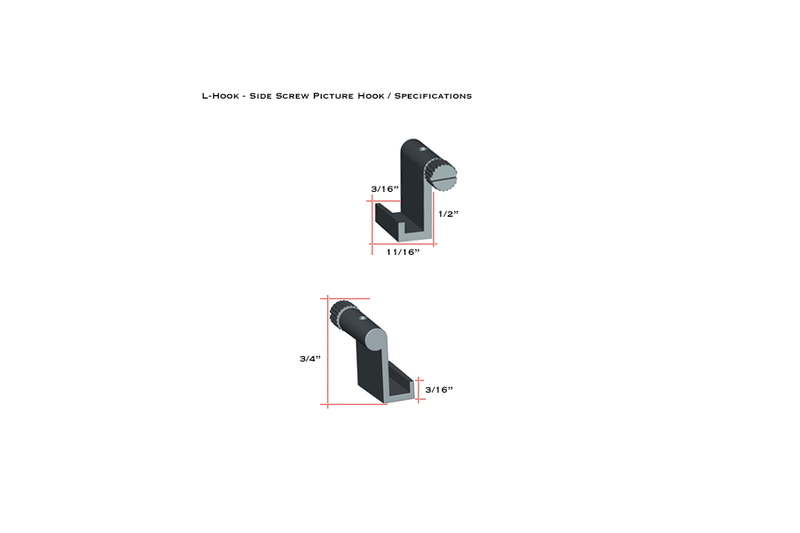 The L-Shaped Hook Bracket is fastened to the cable by tightening the screw on the side of the hook. 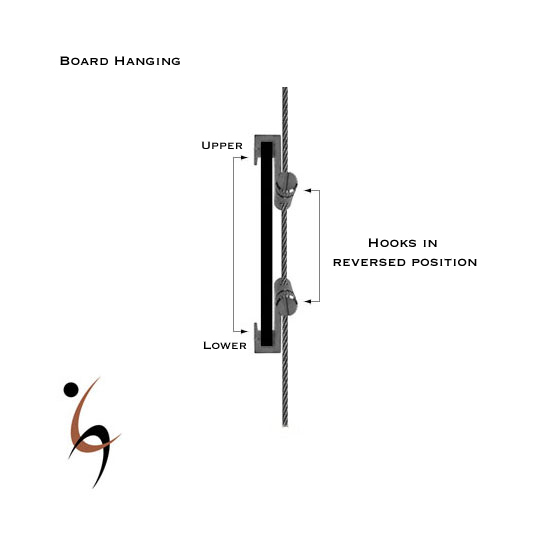 In addition to art and picture hanging, the L-Shaped Metal Hook is perfect for suspending both 3/16 gator and foam boards using two hooks and reversing the upper hook as shown in the image. 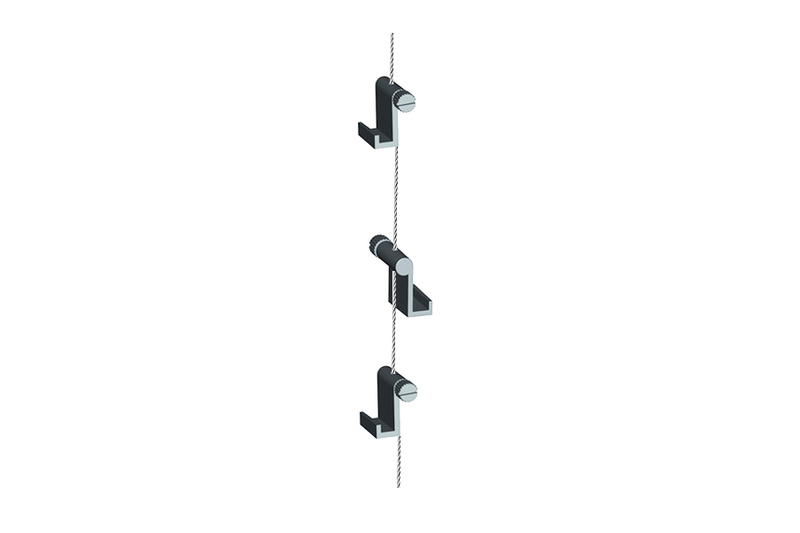 For use with: Stainless Steel Cable With J-Hook, Cobra Cable, Steel Cable Rod with Ball-End, Cable Rods. 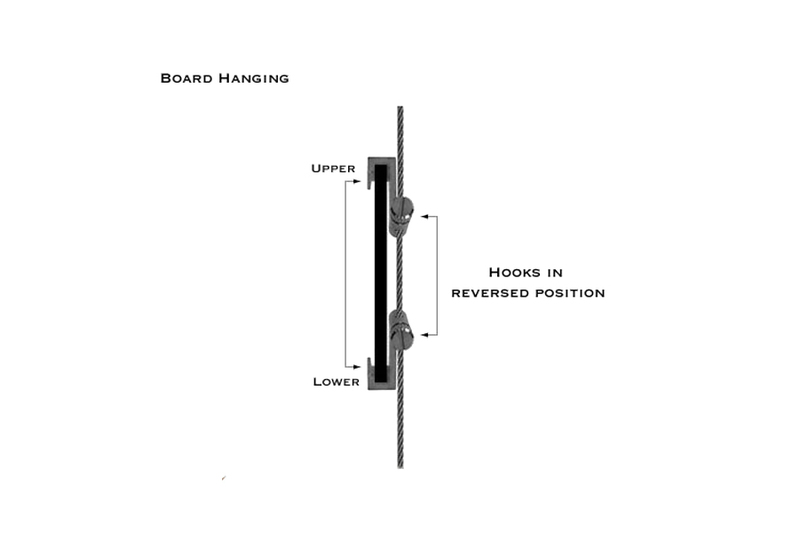 For use with: J-Hook Cable, Cobra Cable, Ball-End Cable, Cable Rods.